We’ve been in our rental house for four and a half months. I’ve been in this new town for almost seven. Still, it seems so temporary. Because we haven’t found “the right house” (the market is limited, houses are overpriced, no one can agree what “right” means, is this even the town we want to raise our kids in, does God have a long-term purpose for us here or is this move a temporary stepping stone on the way to somewhere else, etc) we’re still just renting. Most of our boxes are still packed, including the kids’ toys. Only the things we need have been unpacked. We never decorated for Fall. There are no pictures on the walls. We’ve held our breath waiting for God to give us a revelation that perhaps this (whatever that is) is why we moved, waiting for all of the pieces to fit together like a beautiful masterpiece. At some point, you realize that there is beauty in imperfection and it’s okay to exhale no matter what life looks like. That if God NEVER has another move for us, we can find joy where we are. 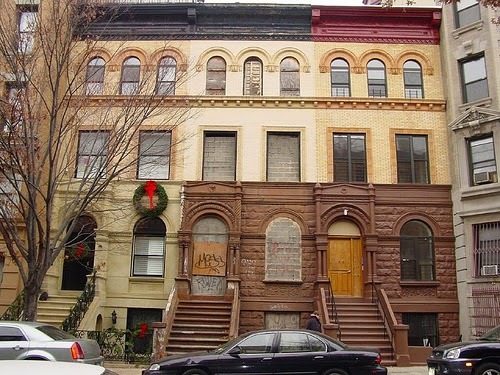 Imagine a row of houses, all the same. Doesn’t the one with the door wreath say, “Here. This place has family. This place will welcome you in”… yes? My mind was made up. We needed a door wreath. It’s fall right now, but I’m not feeling oranges and browns. Something fresh and simple would be perfect. 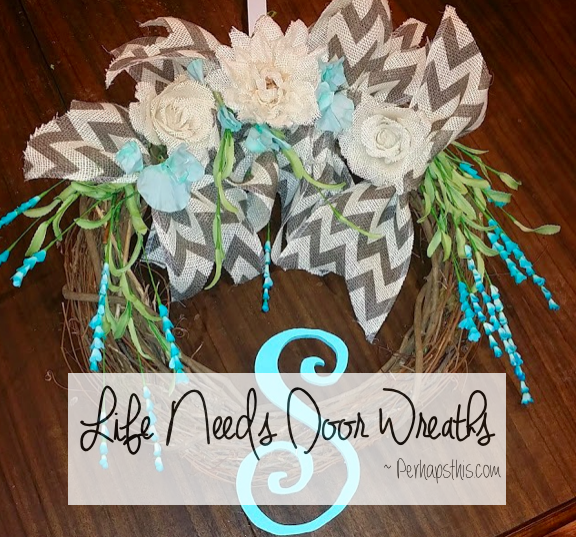 A trip to Hobby Lobby would do the trick. 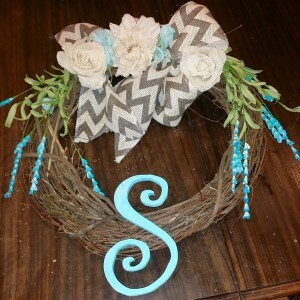 A twig wreath. A few white burlap flowers. We’d need an S. A monogram of sorts. Our stamp. The “S” family lives here. And blue. 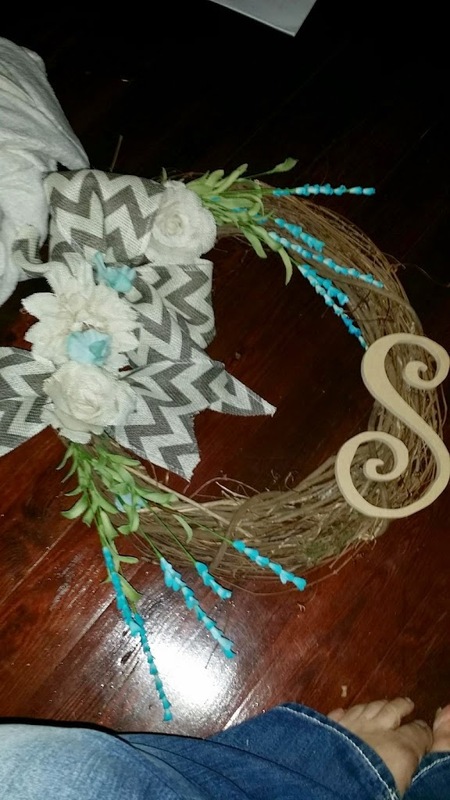 To make your burlap design, you can take a piece 6-12 inches long depending on your twig base size. 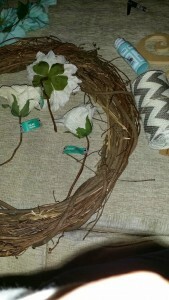 Pinch a little burlap in the middle, and tie it with a simple piece of twine. Stick the flowers in between the twigs. 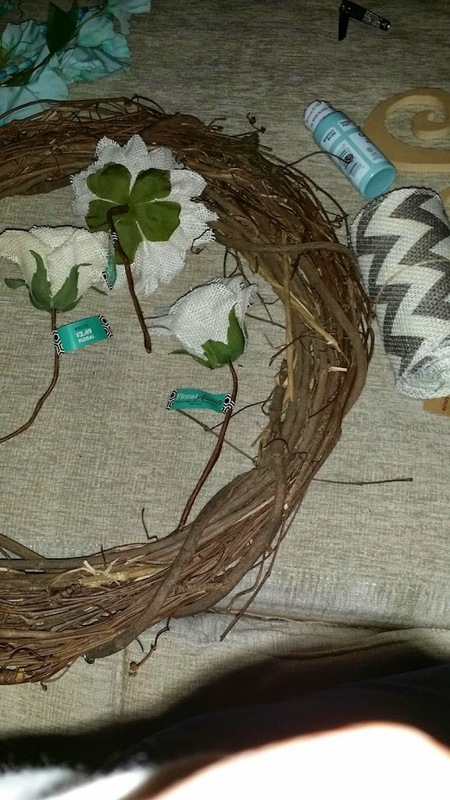 (God bless whoever came up with the idea of wrapping some dead vines into a circle. For real.) Stick some little tiny blue thingys in. Before you make anything permanent, see if you like it. Lay it out to look at it – Sideways? Ehhhh…. 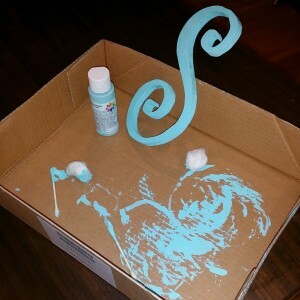 Paint your letter inside a box lid. Contained mess = yes! Paint your letter whatever color you choose. We chose Caribbean Blue. A friend said it needed more blue thingies and it could stand to be a little fuller. I think she was right. 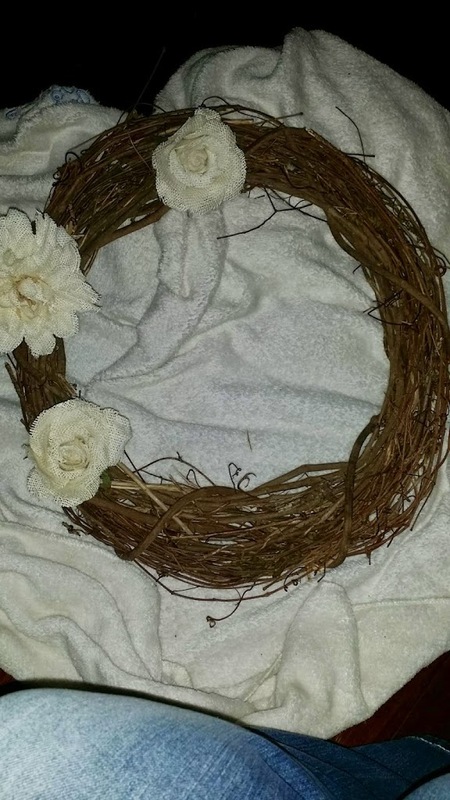 Here is our wreath. Our “Come on in” welcome sign. Our little piece of beauty to welcome us home each day. I love it! What do you think? You can make one too, trust me. 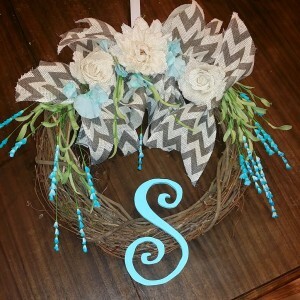 I’m going to digress for a minute and say that should you accidentally hot glue a very large piece of chevron burlap to your palm it will hurt. A lot. You will not be able to breathe. You will wonder how it is possible to be in so much pain and not have any tears forming. You may even think that your tears have gathered together internally and made a bee-line to your palm, hoping to cool off the burn from the inside out. Should that happen: plunge your hand into cold water. Running water in the kitchen will do the trick. When your husband comes running to find out why you are hollering, he’ll figure out in between your blubberings that you have burned your hand. Like a knight in shining workout pants, he will google “how to soothe a burn” while you put the blue goo-like aloe stuff you keep for sunburns in the fridge. This will not work, just FYI. He will discover that a potato cut in half will help alleviate a small portion of the searing pain. Have your knight cut a potato, since you will be incapacitated at this point. It is all you can do to keep from falling onto the floor in the fetal position. Place potato on your palm. Meanwhile, your 9 yr old has retrieved the Solarcaine. You will spray your palm, and then wave your hand in the air like you are a teenager at your first concert and they are singing your favorite ballad. This will help the Solarcaine dry. 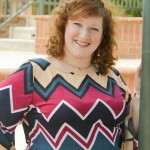 Your husband may take just a minute to step out of chivalry-mode to make fun of you. It’s okay. You will alternate potato for 20 minutes, Solarcaine spritz, potato, spritz for the next few hours. You will have your sweet knight cut a sliver off the potato to bring you some fresh relief. Sir Spud, Prince of Craftalot. My hero. 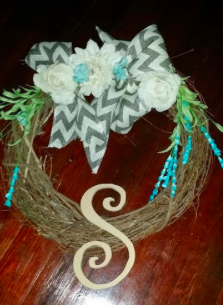 Wound aside, who knew how much a little door wreath would mean when it comes to making our rental house a home. It’s just what my heart needed.